Chimney Liners: Does Your Home Have One – Do You Even Need One? You rely on your chimney being safe. Whether you use your fireplace for wood-burning fires, you have a furnace that vents through your chimney, or you utilize a wood stove or gas insert, your chimney needs to be able to handle heat and sparks without allowing damage to your home. Stone or brick chimneys can be made safer with a flue lining that helps to move heat and gases up and out of your home. Chimney liners are a protective barrier usually made of metal or ceramic. Liners insulate heat moving through the chimney, protecting flammable areas of your home’s structure. They also protect flue masonry from cracks or crumbling mortar due to repeated heating and cooling. Why worry about your chimney liner? Cracks or damage can lessen the effectiveness of the liner, which make burning anything in your fireplace or wood stove risky. Plus, if your liner is damaged, you may have a hard time passing a home inspection and selling your house until it’s repaired or replaced. In the “olden days,” chimneys were completely unlined or only lined with clay tiles, which could crack or break relatively easily. Especially if you have an older home, an excellent first step is to have a masonry or chimney expert examine your chimney and assess its integrity. Do you burn wood in your fireplace regularly? You should definitely have your chimney liner inspected as part of an overall maintenance plan performed at least once a year. Cleaning is a good idea as well: The products of burning wood, called creosote, can build up in your unlined or improperly lined chimney, and may eventually cause a fire. Cleaning and inspection from a chimney professional, sometimes called a chimney sweep, averages $298 in the US, according to HomeAdvisor’s surveys of homeowners. How do you know if your liner needs to be repaired or replaced? 1. See for yourself. From inside the house, open the flue and look up as far as you can. Next, check the chimney from the roof by removing the cap and doing a visual inspection. Any signs of cracks or rough edges can signify an issue and confirm your chimney professional’s assessment. 2. Hire a chimney professional with a camera. Most modern chimney companies run a scope with camera down the length of the chimney as part of their inspection. Upon request, they’ll likely be willing to record the video and share it with you, detailing the issues they see. What if you don’t have a chimney liner at all? If your home is older and you’ve determined that your home only has the stone or brick of the outer chimney, you need to decide whether a liner is necessary. First, check your city’s fire code. This may mandate that you install a liner if you’re making any changes to or installing a wood-burning stove or fireplace. If you burn wood in your fireplace or in a wood-burning stove, it’s recommended that you have a stainless-steel liner to prevent overheating your chimney and risking a fire. In some locations, your city’s fire code may mandate that you install such a liner if you’re making any changes to or installing a wood-burning stove or fireplace. However, if you’re not using your fireplace and your chimney acts solely as a vent for your furnace or water heater, you may not need to have a liner installed. Cracked masonry should be addressed from an energy-savings perspective — a lot of air could be escaping from your home, depending on where the damage to the chimney is located — but it’s not likely to be a fire hazard. Homeowners with gas or electric inserts most likely do not need a new liner because those types of fuel don’t produce enough heat to damage a masonry chimney. 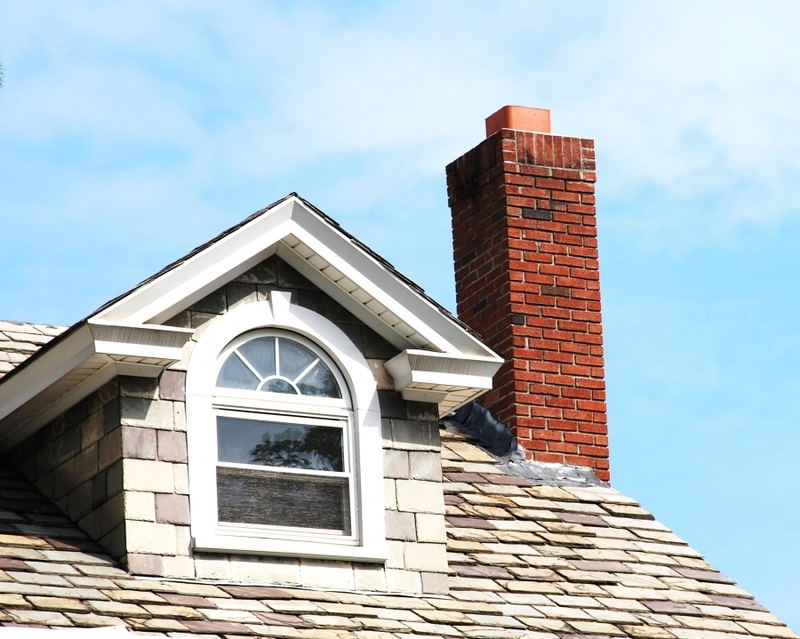 Do you have questions about your chimney and whether it needs a new liner? A chimney professional can answer your questions and schedule an inspection for your home.